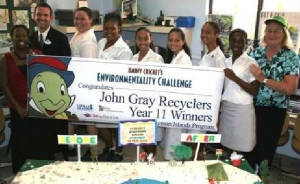 We, the John Gray Recyclers, pledge to increase the public's awareness of the importance of the protection of the ocean and the world's coral reefs. 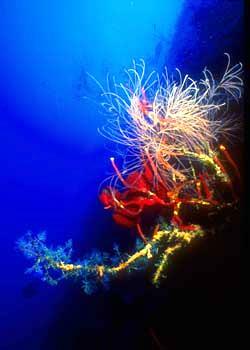 We believe that we must all take action to conserve the ocean to sustain the wonderful web of life on our planet Earth. 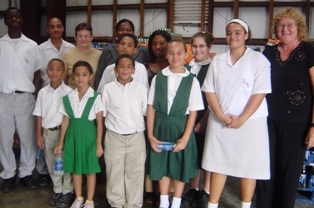 Year 11 Cayman Islands - Click picture to find out more! 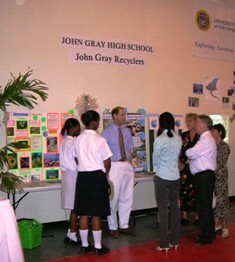 John Gray Recyclers in a Global United Nations' Environment Programme Web Document 6 July 2005. 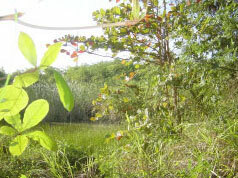 Learn more about us and global environmental news of UNEP by clicking this link. 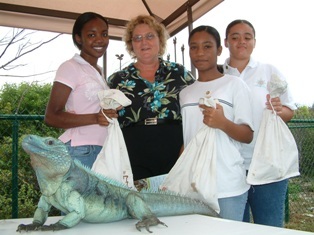 We, the John Gray Recyclers, pledge to increase the public's awareness of the importance of the protection and preservation of the Grand Cayman Blue Iguana. We believe that the preservation of the Cayman Islands' precious heritage is of utmost importance, and we must all take action now to save these iguanas from extinction. 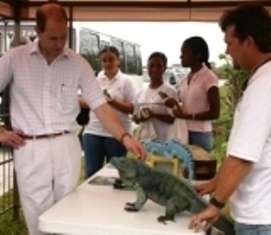 We are deeply saddened because we were with Pedro when he met Prince Edward last year and in those few hours that we spent with him we learned so much about the Blue Iguanas and how precious they are! Pedro we will not forget you! 7 May 2008 - Matthias succumbs to his injuries bringing the death toll of these beautiful endangered creatures to seven! How could anyone be so cruel? 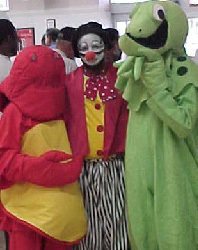 Why did someone have to destroy them during breeding time? This is so sickening and sad! 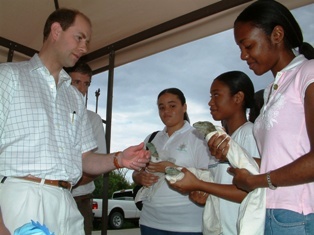 Prince Edward meets Pedro, 4 February 2007. 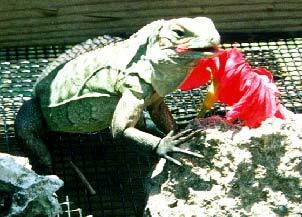 Help preserve the Grand Cayman Blue Iguanas with the John Gray Recyclers. Find out more about them by Clicking the poster below. 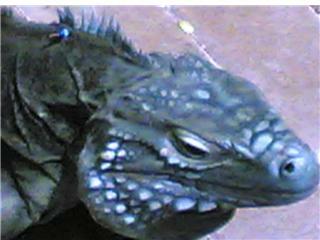 The Grand Cayman Blue Iguana is protected by law and is the most endangered lizard on this earth. Check out the large poster. 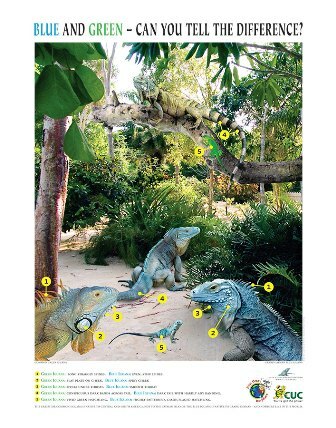 Can you tell the difference between the common green iguanas and the Grand Cayman Blue Iguanas? to enable the posters to be created. 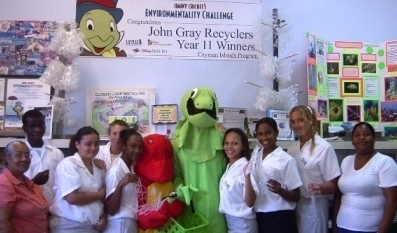 The John Gray Recyclers first sponsored Quincy in the Cayman Islands' Quincentennial Year of 2003. Hence the name Quincy! We are still sponsoring Quincy in 2007. 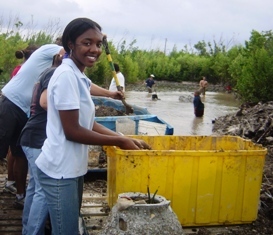 Islands' Dept of Environment's Mangrove Reef Ball project at the Red Bay Sailing Club. 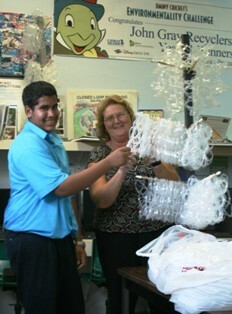 Meryll Carter and Daniol Castro Tatum, also John Gray Recyclers, helped count the six pack holders that Ashvin has been collecting. The total count was 922! 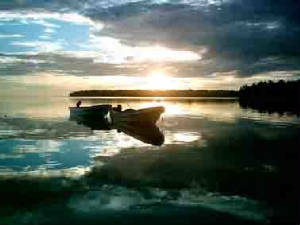 - For licensed fishermen, closed season is 1 May through 31 October - as this is turtles' nesting season. 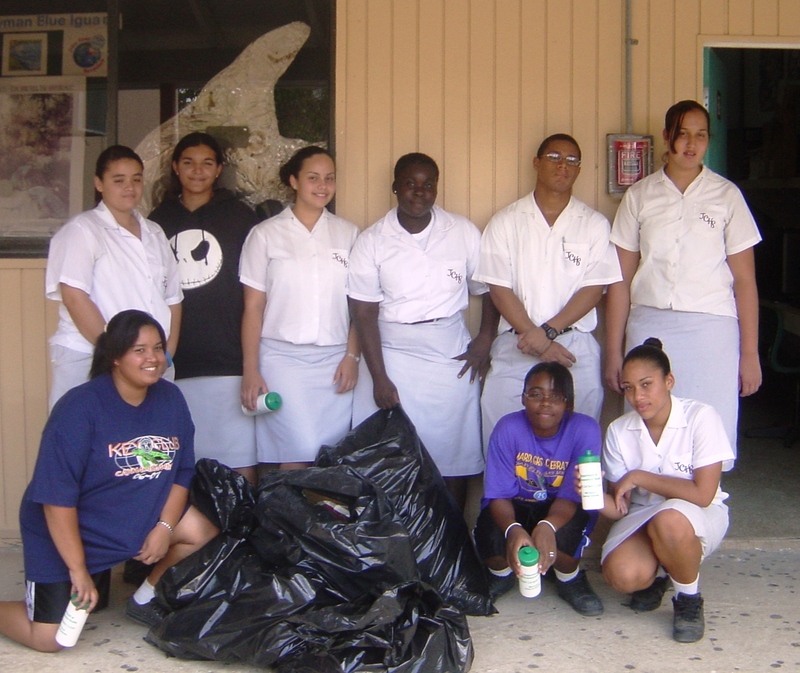 'Grabbit', the crab, is our symbol in the Cayman Islands for keeping our islands free of litter and clean. 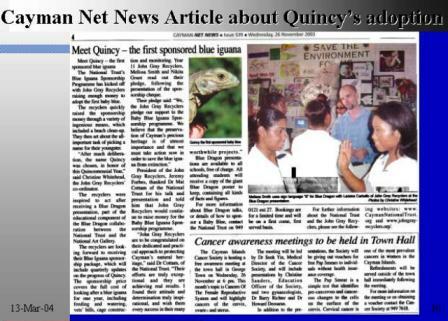 Our Grand Cayman Blue Iguana Project - preserving our natural heritage and an endangered species - the most endangered on this earth! 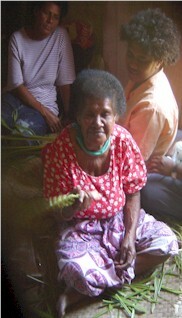 Please click on the pictures below to learn more about our projects. 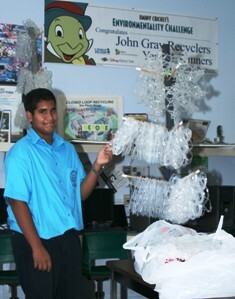 Don't forget to check out the News about the John Gray Recyclers in a web document created by the United Nations Environment Programme - dated 6 July 2005 - Click this link to find out more! We can preserve our heritage! RECYCLE WITH US! PROTECT OUR ENVIRONMENT WITH US! The John Gray Recyclers would like to thank the Seacology Foundation for giving us a unique opportunity to join with other children to help protect the World's Coral Reefs with our Naikorokoro, Fiji Coral Reef Preservation Project. Dive In with us and find out more about this wonderful project and the importance of the protection of the world's coral reefs.